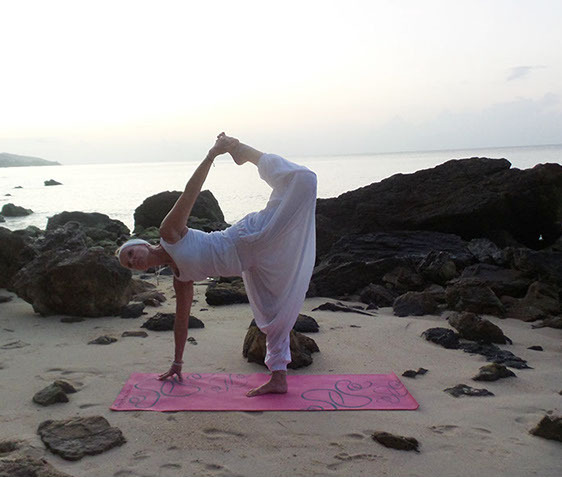 Chrissie has spent a month studying Yoga Therapy in Chennai, India at the prestigious Asana Andiappan College of Yoga and Research and achieved a world wide recognised qualification with Yoga Alliance enabling her to practice as a Yoga Therapist. Whilst Chrissie has been teaching Yoga for many years, she will now be able to enhance her teaching to include a more in depth knowledge of how Yoga can improve our lives in a more holistic way. Chrissie has always been fascinated by how our bodies and minds work….or don’t. 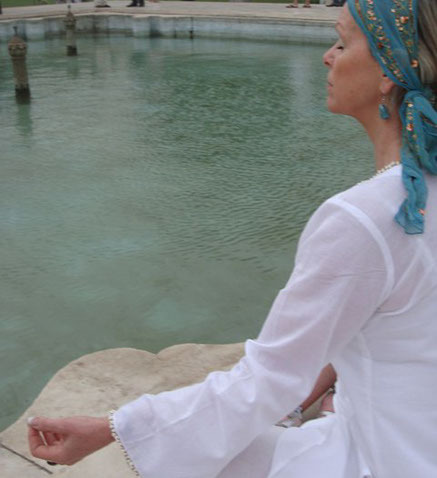 Those of you who have practiced yoga with her will know that she takes great care to get to know each students’ mental and physical condition before they practice with her so that she can fine tune practices to support and prevent further injury and include meditative and breathing practices to heal the mind. She believes passionately in the phrase ’we are what we eat’ and will suggest dietary and lifestyle changes as ways of healing and enhancing our quality of life. What’s the difference between a Yoga Teacher and a Yoga Therapist? A Yoga Therapist uses a holistic approach in order to help clients with health conditions. Rather than the focus being on general Yoga asanas (postures) and practices with variations for those with particular needs and usually associated with a typical Yoga class, the Yoga Therapist focuses on the client’s needs. Clients may seek out the services of a Yoga Therapist because of a particular health, mental or physical issue. A Yoga Therapist hopes to help clients reduce, manage, improve their symptoms. The assessment will involve listening to, questioning, observing clients and take into account their lifestyle, diet and drinking habits. Having established the clients’ needs then an appropriate plan can be made as a way of moving forward towards the goals of the client using Yoga based methodology, Pranayama (breathing practices), talking therapies, nutitional advice and elaxation/meditation. Who might seek the help of a Yoga Therapist? Any physical ailment – these may be temporary and expected to improve/heal completely. Mental health issues – Chrissie is a qualified Mental Health Social Worker with experience of dementia, alcoholism, drug addiction, depression, bereavement and those supporting family or friends with these issues. Ideally this will begin with a one-to-one, private consultation in the client’s home lasting approximately one hour. If the client wishes to continue then subsequent appointments can be made. These can continue for as long as the client feels it is helpful. There will be an opportunity to then join Chrissie’s group Yoga Practices either alongside the private sessions or as an alternative way to continue to practice.